We at Exselo wish all our customers and users a merry Christmas, with a sneak peek of what 2016 will bring from us. 2015 saw the first release of Exselo Desktop and a steady focus on development of the product. Consecutive releases gave even more functionality and minor bug fixes. 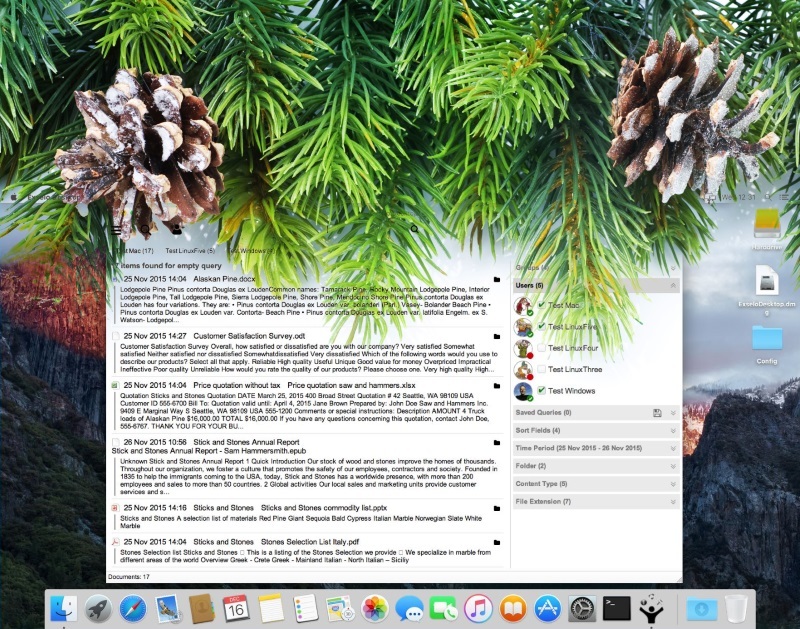 The screenshot shown, gives some hints on what 2016 will bring to existing and new users of Exselo Desktop. Some of the features coming are support for multiple platforms and user collaboration, while we continue to increase product robustness. Exselo Desktop shall be the information tool that gives you, the user, the quickest and most intuitive way to find information. If you have not tried it out yet, download and try out Exselo Desktop for free here!